simmii, 26 Oct 2010Hello frnds i m facing a problem in sending msg of more then 180 words.. Msg more then 180 wor... moreI'm using and its a good phone indeed. Check your settings for character support. Make sure its set to full. Anonymous, 01 Nov 2010Thats bad news. Waiting for LG optimus one. Price of LG optimus one is that of galaxy 3. you can buy galaxy 3instead of LG. It's battery is very horrible compared to galaxy 3. Abhay , 01 Nov 2010no froyo for galaxy 5. it's for galaxy 3 and galaxy sThats bad news. Waiting for LG optimus one. TL, 01 Nov 2010that way you would never be able to buy any android phoneI want to buy galaxy 5 so froyo is must for me. MUNISS, 01 Nov 2010The headphone output sound quality is average. i.e. no stereo effect. In speaker volume, it i... moreAdvanced Task Killers are NOT GOOD for android phones' BATTERY LIFE. In fact, they use more battery. You would find plenty of posts to support this argument. galaxy3 user, 31 Oct 2010dear all, have been using this phone since 2 months. very satisfied by its performance. its t... moreI would advice not to go for screen protector, that way screen responsiveness is not good. rahul, 01 Nov 2010M gonna buy this phone this week. can any1 tell how's the music through handfree when compared... morethe best on head phone. but just OK in speaker in terms of volume but good in terms of quality. 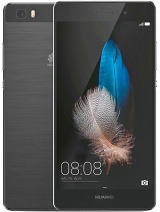 M gonna buy this phone this week. can any1 tell how's the music through handfree when compared to nokia N70's. Please tell me ASAP. About update. it is not still available. but hopefully sooner. and it can be updated only go two ways one by Samsung stores or by kies. don't in for the link provided by any one they are not official one, if you use them den you will lose your warranty and the official update so be careful. guys who scold about the battery show me a single android phone which gives the life more then 2 days all are same not just this one even the original nexus gives max 18hrs wildfire. the worst among half day at max usage galaxy s 2days tops even without doing the net. this one also gives more then 1.5day Atleast just use it properly that's it. Abhay , 31 Oct 2010tweet from Samsung India mobile says, froyo update available for galaxy 3, but the ETA is not... moreAnd what about galaxy 5? tweet from Samsung India mobile says, froyo update available for galaxy 3, but the ETA is not confirmed. So whoever was concerned that froyo is not available can take a sigh of relief.